An increasing number of Falkirk district families are unable or unwilling to cover the costs of their loved ones’ funerals. More than £15,000 was spent on 15 no-frills ‘paupers’ funerals’ in the region last year, a Freedom of Information (FOI) request has found. Also known as public health funerals, they are provided by local authorities and generally include a coffin and the services of a funeral director but do not feature flowers, obituaries or transport for family members, who can attend if they wish. Other reasons for public health funerals include the deceased having no relatives and families being unwilling to fork out. 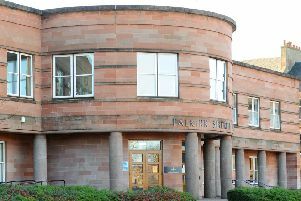 Falkirk Council spent £15,341 on paupers’ funerals in the 2017-18 financial year, up by 27 per cent on the ten public health funerals the local authority carried out the year previously. The findings emerged after an FOI was submitted by mutual insurer Royal London. The Local Government Association (LGA) said there are thousands of people across the UK “with no family or friends to care for them or arrange, attend or pay for their funeral”. A Falkirk Council spokeswoman said: “National assistance funerals are a statutory responsibility for local authorities, where no funds are available and no arrangements are being made for the burial or cremation of the deceased. The cost of public health funerals across the UK in 2017-18 totalled more than £5 million, according to Royal London, which received responses from 275 local authorities. More than 3800 such funerals were carried out across Britain last year, costing councils an average of £1403. And nearly a third (31 per cent) of families who turned to their local council for a public health funeral did so because they were unable to foot the bill. Royal London said the average cost of a basic funeral is £3757.